Pharmacology is the branch of Basic Health Science that deals with the drugs (medicine) and their use in a rational manner. It is the study of the effects of chemical substances on the functions of living system. As a science it was born in the mid-19th century based on the principles of experimentation. The knowledge of pharmacology is essential as modern medicine relies heavily on drugs as main tool of therapeutics to treat any disease. The horizons of Pharmacology includes understanding of why, when and how to give a drug? How the given drug will solve or even create a problem? How the drug interacts with the tissues and other simultaneously administered drugs leading to side effects and adverse effects? 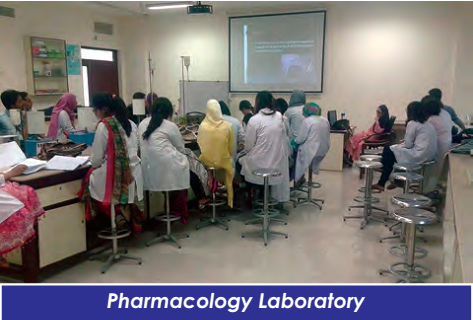 Department of Pharmacology is located on the fourth floor of the Bahria University Medical & Dental College Building. It comprises of a Professor’s room, Faculty rooms, Lecturer’s rooms, a Museum and a Laboratory. Whereas the tutorial rooms and lecture halls are shared with other basic sciences departments. Pharmacology laboratory is well equipped with instruments and fine glassware. 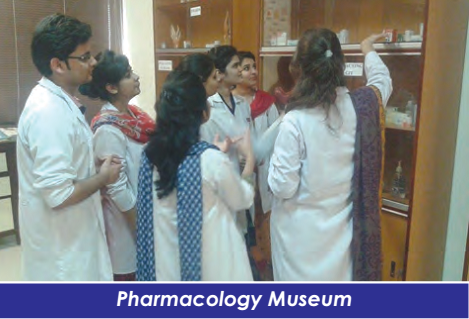 The museum has every nidus to arouse subject interest among the students. Subject information is passed on to the MBBS and BDS students by combined teaching methodologies as per devised by the department of medical education with an aim to keep our students in pace with the academic standards of any esteemed institute of the country. Every year as a part of training student activity and competition is organized in the department. 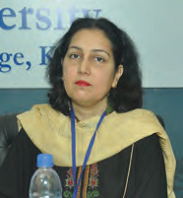 The faculty member whose assigned student(s) win the competition is also acknowledged. 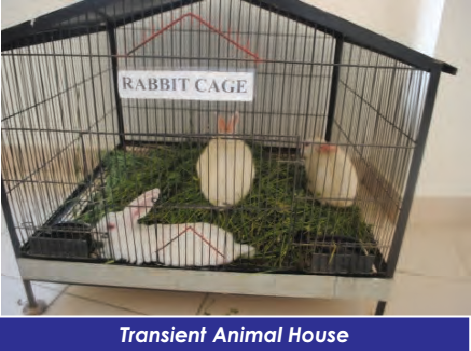 This healthy educational activity provides a means of grooming of students as well as the faculty.